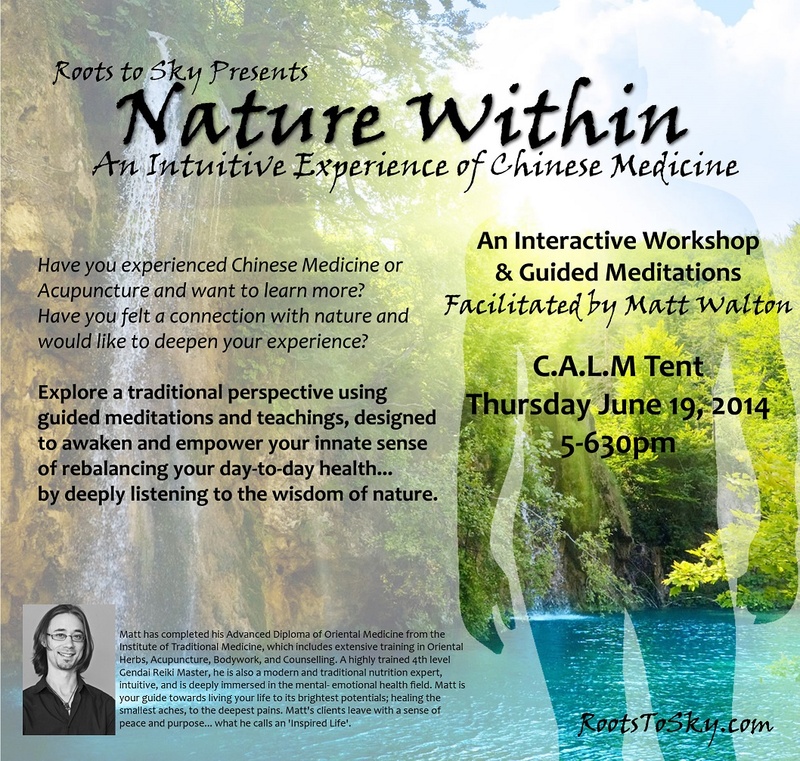 C.A.L.M at the Om Solstice Gathering – Roots to Sky with Matt Walton | Aim Higher. Live Inspired. In addition to my workshop I will also be giving Acupuncture and Reiki at this years Solstice Gathering 2015, alongside many other incredible healers in the C.A.L.M. area. CALM is the Centre for Alternative Living Medicine, and has featured countless practitioners and teachers for well over a decade.